Durable Ballistic nylon outer cover and binding makes these boots double tough and able to take the daily abuse of riding, no matter the discipline. UltraShock lining absorbs energy from overreaching and protects the vital areas of the hoof while the soft no-turn knob keeps the boot from spinning. ** marked items are currently not available. To receive an in stock email, select item from list above, enter Email and click Notify Me below. Ballistic Overreach Horse Bell Boots is rated 4.50 out of 5 by 23. I ordered the medium fot a pretty standard size quarter horse & needed to return them for a large. Not yet tried them. The quality looks good. I have had several pairs of these for multiple horses. They last a long time, but when they do wear out, I buy another pair!! 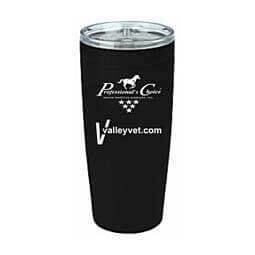 They are easy to use, very comfortable for the horses with never a rub, and they fit well. I purchased these because they had 3xl size, thinking they would fit my Clydesdale. No such luck, They didn't even come close. I would say the sizes run quite small. I bought these boots to keep my horse from kicking his Rens off with his hinds. Not a good idea. Too much bulk going on! However, they are really nice boots. Unfortunately they don't fit when used alone. My horse has some thick bone! I have owned a pair of these before, I love the way they fit and stay In place. love the colors, I chose the Raspberry because I already have from smb boots that same color. Will keep on using these, the cheaper ones wear out too fast. I love Professional Choice products. You get what you pay for here. Bought a size medium for a petite Arabian. Fit great, he was overreaching and bloodying front fetlocks. The boots did a great job protecting him until our farrier could get out, Adjustments to his hooves and shoes solved the problem. I have never had the occasion to use over reach boots until just recently. I am very pleased with overall performance of these boots. Look forward to the 2014 barrel season! I purchased these boots for working in the round pen with my horse; he tends to crossfire. Â These are really well made, and because of the notch in the inside of the back, DO NOT TWIST! Â Extremely heavy duty; I can not imagine them wearing out, but of course... time will tell. Â I will say that my horse is a 15.3 Kentucky Mountain Horse for trail riding. Â In regular trail boots, he wears a size 5. Â I figured the "extra large size" would be for a draft, so I got the "large". Â The large was much too small; he took an extra large. Â But they now fit, work, do not twist, and do a great job of protecting his legs.